But do you know what they all have in common? 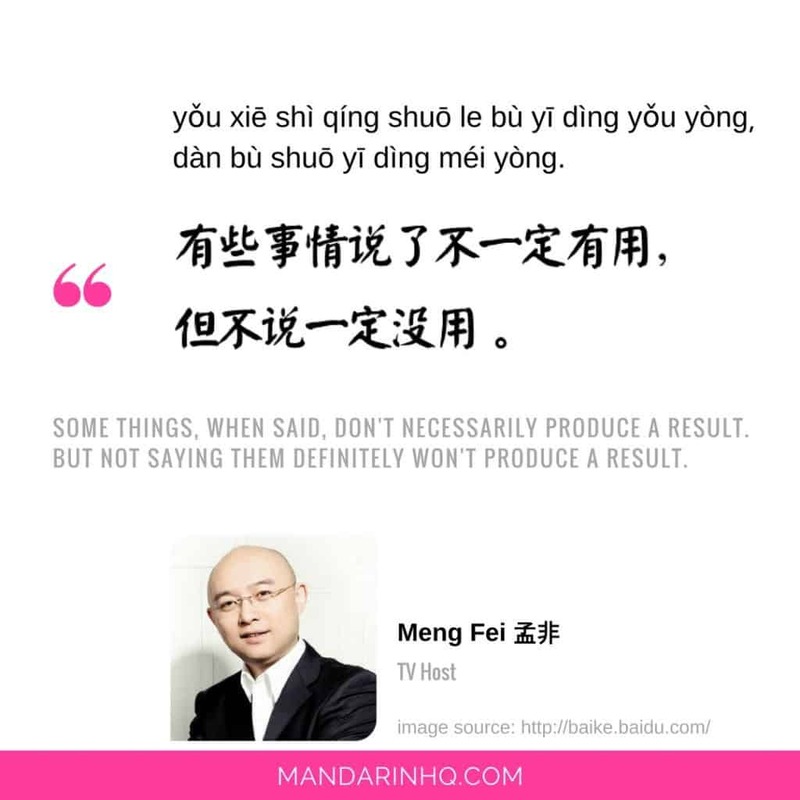 Well… apart from the fact that they speak Chinese and are very famous in China, they’ve all said things that have turned into popular quotes! Some of these quotes might motivate you to achieve things in the future, while others can help put a positive spin on difficulties you experience today. 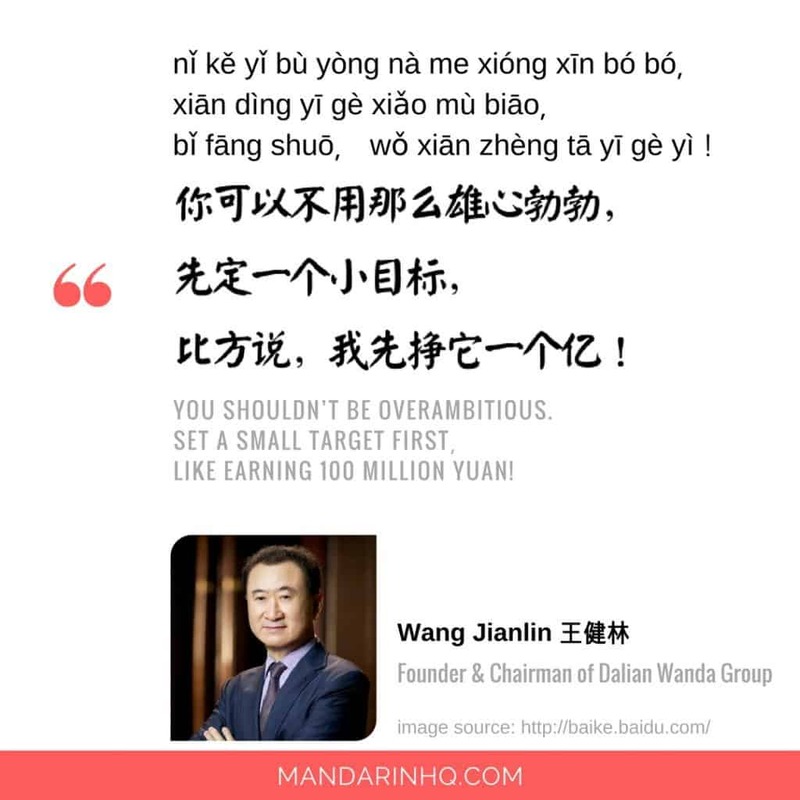 "Set a small target first, like earning 100 million yuan..."
You can read more about 王健林 (Wang Jianlin) here. "Without experiencing trials and hardships (lit. 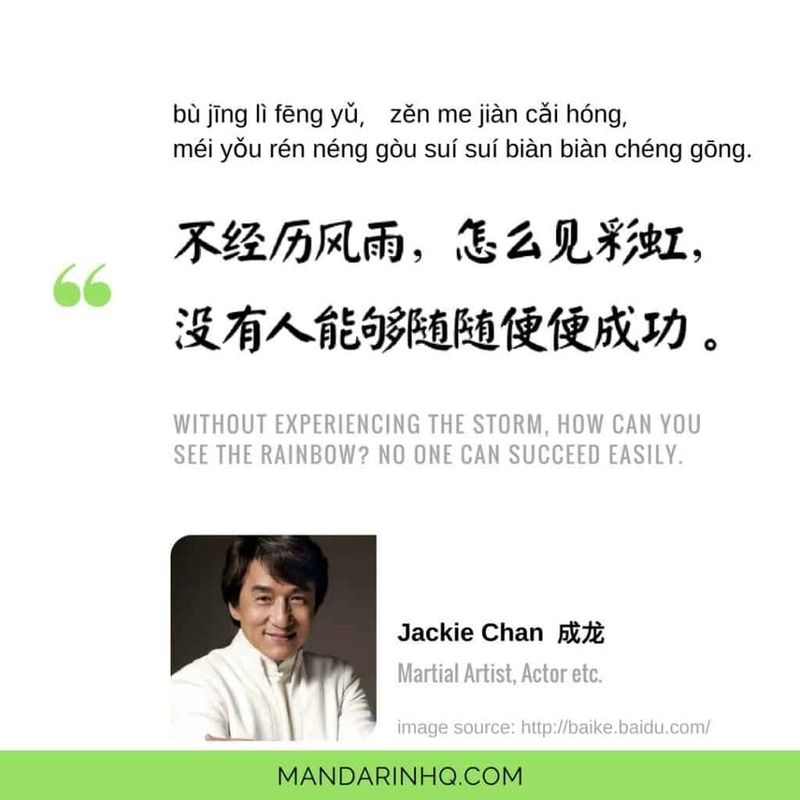 wind & rain), how can you see the rainbow?" Want to learn more about the person who said this? Read about 成龙 (Jackie Chan) here. 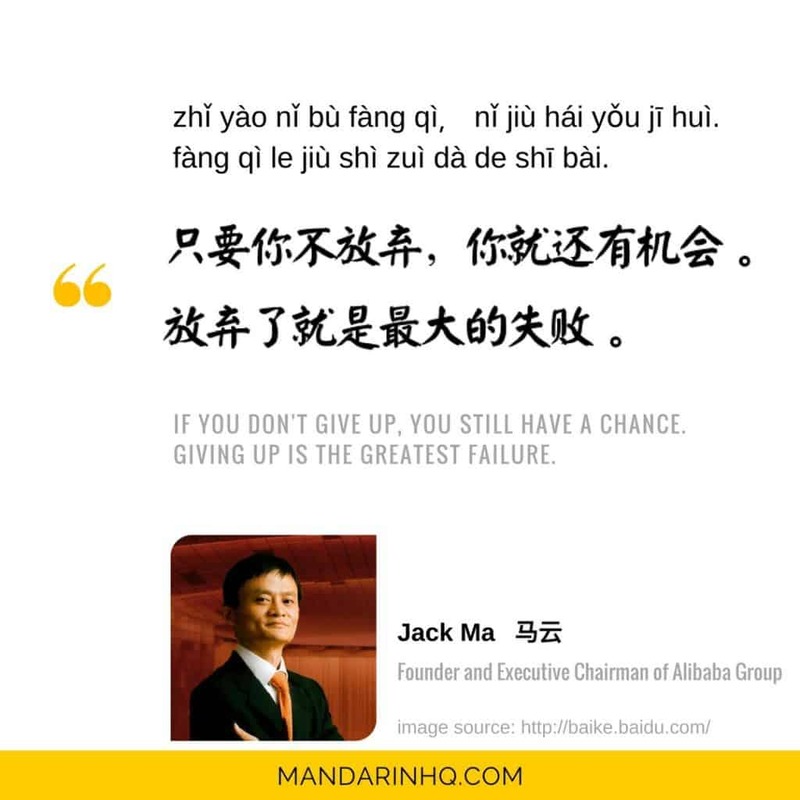 "If you don't give up, you still have a chance..."
Want to learn more about the person who said this? Read about 马云 (Jack Ma) here. "Some things you say won't necessarily be of use. 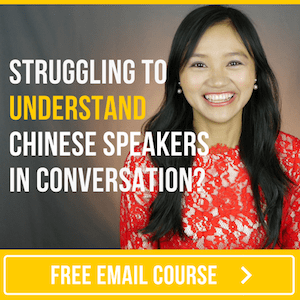 But if you don't say them, they definitely won't be of use." Want to learn more about the person who said this? Read about 孟非 (Meng F﻿﻿ei) here. "I think my greatest trait/value is that I am persistent." Want to learn more about the person who said this? 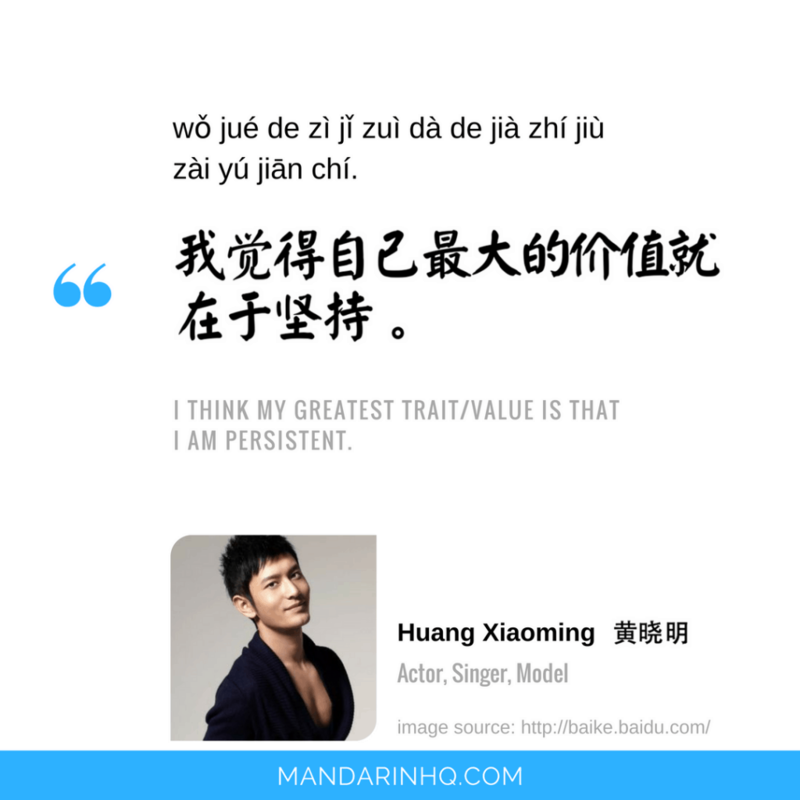 Read about 黄晓明 (Huang Xiaoming) here. "More tolerance & More understanding = More happiness"
Want to learn more about the person who said this? Read about 谢娜 (Xie Na) here. 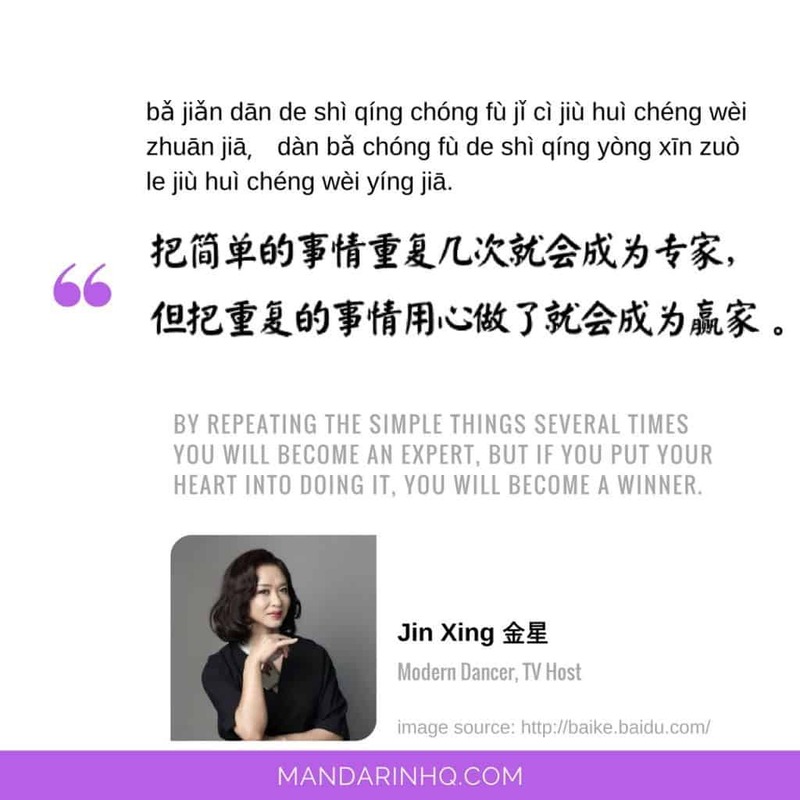 "By repeating the simple things several times you will become and expert. But if you put your heart into doing it, you will become a winner." Want to learn more about the person who said this? Read about 金星 (Jin Xing) here.